We Help With Residential Moving! 3. The affordability of getting just what you need — done right! Residential Moving can be easy and exciting! It is often exciting to move, if you can be relaxed enough to enjoy the process. New homes mean new beginnings, and we are glad to be a part of this new part of your life. Our courteous and professional movers are well-trained to address your individual needs. They will help you plan out the entire move — from packing to unpacking — so that all of your concerns are assessed before the move even begins. We know that we are not just moving your furniture; we are moving your family. We want you to enjoy the experience as much as possible and be excited about moving into a new home. 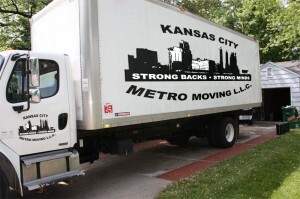 We value the fact that you are trusting our Kansas City Metro Moving Company with your home, and will go above and beyond to ensure a successful transition to your new residence.